Product prices and availability are accurate as of 2019-04-23 21:19:08 UTC and are subject to change. Any price and availability information displayed on http://www.amazon.com/ at the time of purchase will apply to the purchase of this product. 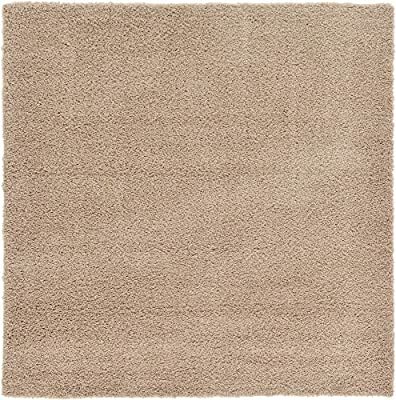 Rug Styles New Shaggy Collection is machine-made in Turkey using 100% heat-set polypropylene by Rug Styles. These contemporary shag / shaggy rugs will make a colorful and exciting addition to any area. Vibrant solid colors . Color : Black . 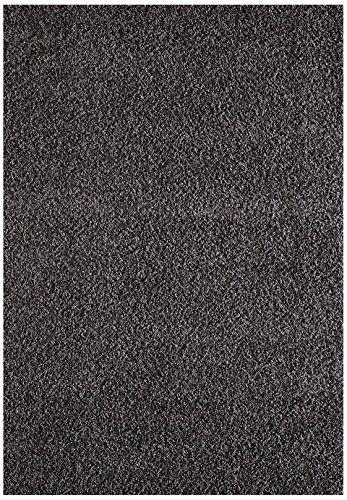 Backing : Jute Backing (In order to prevent movement on hardwood, marble floor etc rug pad is required, not included) --- Care instructions: Vacuum and rotate the rug regularly. Remove dried spots immediately by scraping carefully towards the middle of the spot. Do not rub wet spots. Absorb moisture with paper towels, and clean with a damp cloth and mild detergent. Professional carpet cleaning when needed. Spot cleaning with mild soap and damp cloth. This rug is not machine washable. Please Note: We try to display the most accurate color possible however due to differences in computer monitors, we cannot be responsible for variations in color between the actual product and your screen. Please be advised that in some cases patterns and colors may vary according to size. Lengths and widths may vary from the published dimensions. We do our best to provide you with an accurate measurement, but please be advised that rug size is approximate (±3% due to manufacturing) and this is not a manufacturing defect.